Jasmine and Joseph’s wedding took place at Edens Garden in Moorpark, California and let me tell you this truly is the Garden of Eden… Beautiful landscaping, wonderful greenery, captivating fountains, outstanding plants and flowers and luscious green grass are just some of the perks of this wonderful hidden gem… An outside reception area that just captivates the mind and soul with white peacocks in cages to astound the eye. They wrote their own vows to each other and read them with passion, feeling and conviction, and as they were pronounced husband and wife and walked off into Edens Garden to celebrate their marriage nuptials, all I could say was; this was a great wedding, for a great couple, at a great place by Great Officiants. Joshua and Britney‘s wedding took place and Maggiano’s Italian Restaurant in Costa Mesa California… This wedding was elegant, quite intimate and beautiful… Their colors were a beautiful gray and plum that accented the oak wood tables, chairs and the room was a stunning cream with soft wood oak walls that had an appeal of warmth and flavor… Their procession was small but so heartwarming and beautiful… They wrote their own vows in which both teared up with joy in their hearts to each other… Their mother’s were so happy and Maggiano’s did a wonderful job of making their day beautiful. 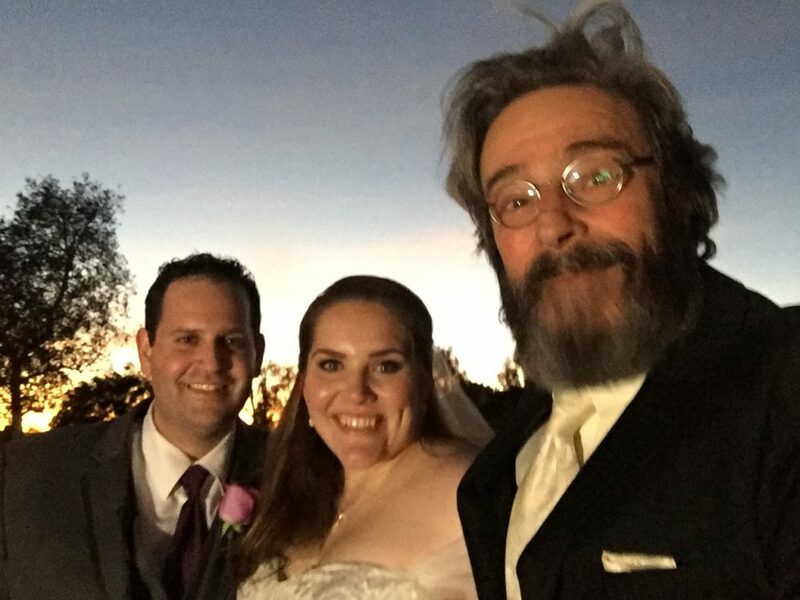 Last April, Great Officiants contacted me with a request for a rabbi to officiate Jared and Meghann’s interfaith wedding ceremony at Porter Valley Country Club. I was available for November 18th and reached out to them. 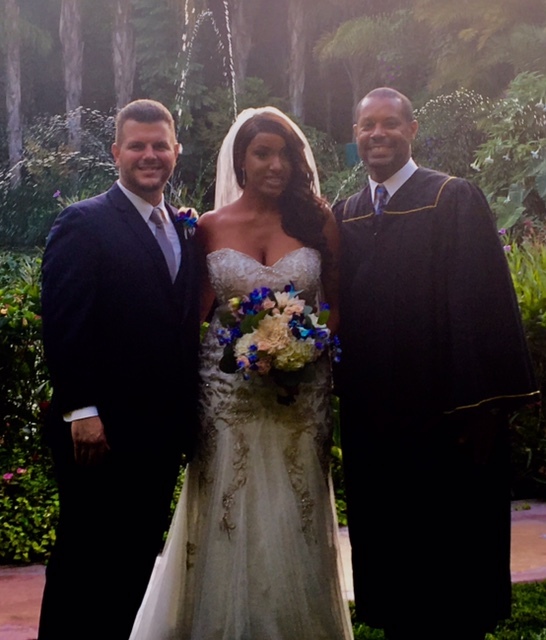 Within a few moments, I bonded with this fun loving couple and they with me. We met together to craft their unique ceremony and then commissioned to create their Custom Ketubah. 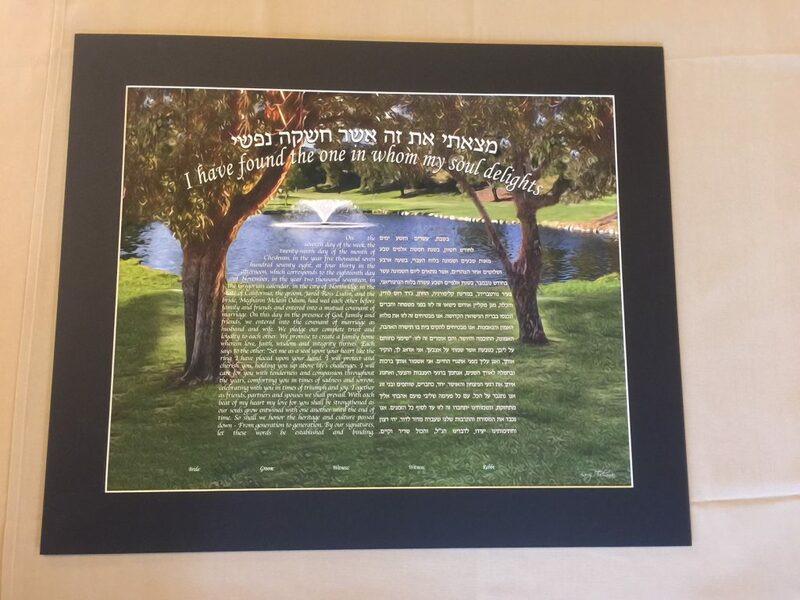 Explaining the opportunity they have to customize their Ketubah and infuse it with their energies, they chose the lake and fountain at the Country Club, which was to be the background of their ceremony. 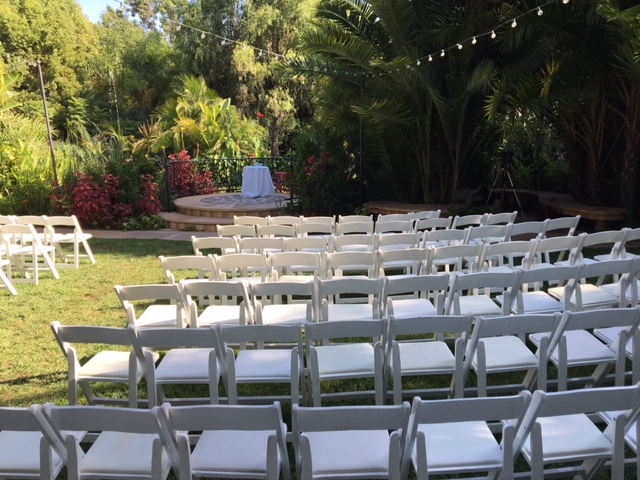 Meghann and Jared’s ceremony was to start at 4:30 and the sun was just getting prepared to surround the couple and guests with a spectacular light show that was not expected. 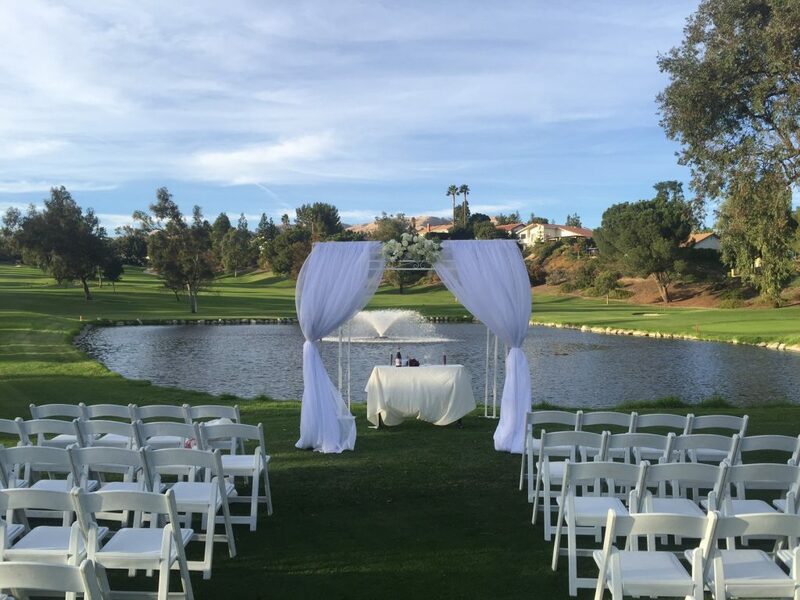 The weather and sun setting was like soft music playing while they shared their vows before family and friends. 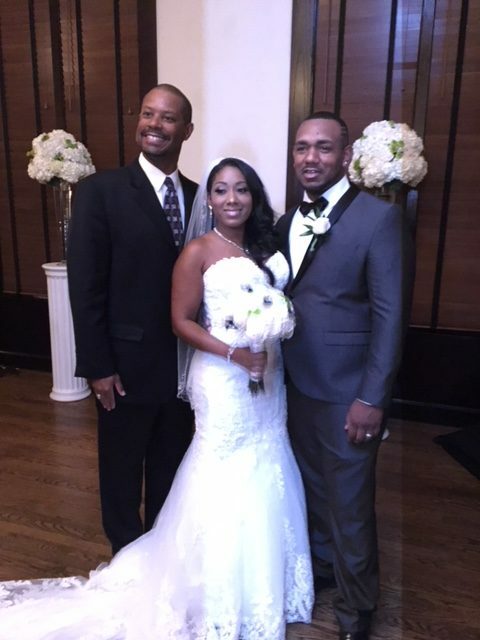 Congratulations to the Jared and Meghann!